Dr. Pardeep Brar grew up on his family’s farm in the rural town of Abbotsford, British Columbia, as the youngest of four siblings. He began his career as a pharmacist and his passion for helping people inspired him to continue his education to become an oral and maxillofacial surgeon. Dr. Brar is proud to offer the full scope of oral and maxillofacial surgery for his patients at his practice in Anacortes, WA, where he specializes in dental implants and wisdom teeth removal. 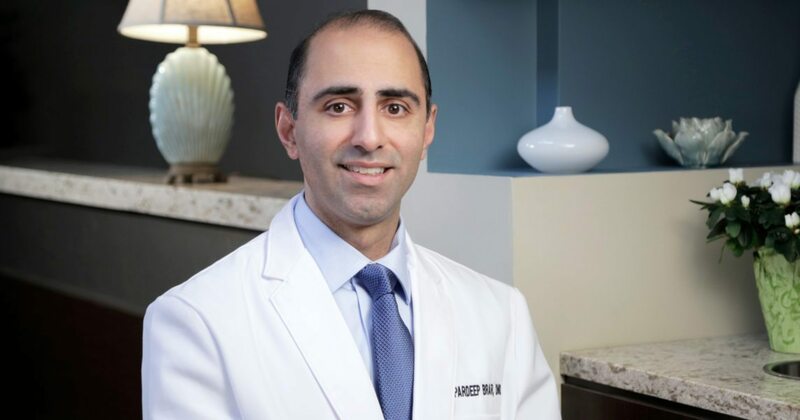 With a lifelong love of learning, Dr. Brar is skilled in the most cutting-edge techniques in the oral and maxillofacial surgery field — he is continuously expanding his expertise into additional specialties such as facial cosmetic treatments like BOTOX® and Juvederm® to benefit his patients. Dr. Brar tailors each treatment plan to your unique condition and preference so that you will experience your very best result. In 1997, Dr. Brar received his degree in pharmacy from the University of British Columbia. He worked as a community pharmacist before attending dental school at the University of Pittsburgh, where he graduated as valedictorian in 2003. In 2007, he completed a four-year OMS residency at the University of Washington and became board certified in 2009. Dr. Brar is married, and together he and his wife have two wonderful children. He and his family can often be found walking the trails of the stunning coastal forest or cheering their children on at sports events. He also loves to golf and spend time with friends.